So a bit of information about the Gnu or Wildebeest first before we join in song! 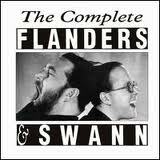 Having done a few pop videos about animals, I am put to shame by the work of these two musical magicians and feel a bit of a Flanders and Swann revival coming on after yesterdays rendition of the hippopotamus song. Today we definitely need the lyrics too so we can sing along! When I met a man who though he knew the lot. And how many quills a porcupine has got. A Bison? No, it’s not a Bison. An Okapi? Unlikely, Really. A Hartebeest? 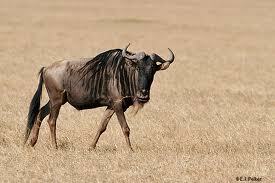 I’m a Gnu. A g-nother gnu. I wish I could g-nash my teeth at you! I’m a Gnu, How do you do. You really ought to k-now w-ho’s w-ho.